Municipality arrives before the water bill to alert customers of unusual spikes in usage. 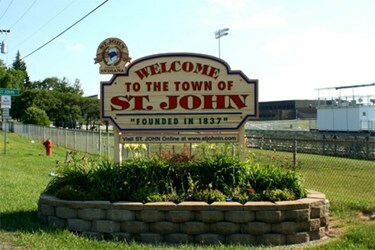 Located 24 miles southeast of Chicago, the town of St. John, IN, is home to 15,000 people, and in 2009 was ranked 48th out of 100 on CNN’s list of “America’s Best Small Towns.” Due to its size, St. John deploys a drive-by meter-reading solu­tion to collect its water use data. As a customer service representative for the town’s public works department, Wayne Pondinas is responsible for run­ning the town’s meter change-out pro­gram, inspecting new construction for meter installations, and working directly with residents regarding their water us­age. If he gets any spare time, Pondinas will break down changed-out meters for scrap.